YES! Our procedure is very safe. 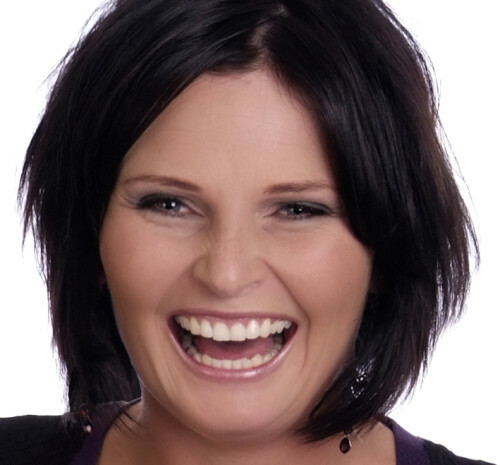 Sparklewhite Teeth is one of the founding members of the NZCTWA (NZ Cosmetic Teeth Whitening Assoc.). It is very important to look for this TRUSTED logo. 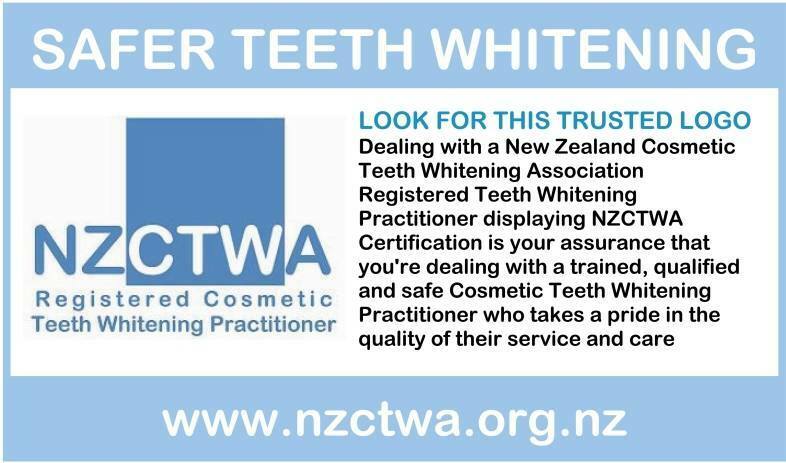 Dealing with a NZCTWA Registered Practitioner displaying the NZCTWA certification is your assurance you are dealing with a trained, qualified and safe Cosmetic Teeth Whitening practitioner who takes pride in the quality of their service and care. WHICH TOOTH SHADES ARE EASIER TO WHITEN? In general if your teeth are yellow it will be easier for them to lighten as this is generally a sign of everyday staining that has absorbed into the tooth pores of your enamel. Grey teeth however, are harder to whiten as these maybe caused by antibiotics which can change the internal colour of the tooth permanently. CAN YOU WHITEN TEETH DURING PREGNANCY OR WHILE NURSING? NO. It is not advisable during pregnancy or nursing due to increased hormone levels causing hyper sensitivity to your teeth and gums. Your method of Teeth Whitening, i.e. if it is an in-chair salon treatment, where the NZCTWA trained practitioner uses a stronger dental gel where you are supervised, or if it is a Home Teeth Whitening kit using a lessor strength dental gel that will take longer to whiten. WILL TEETH WHITENING MAKE MY CROWNS, BRIDGES AND VENEERS WHITER? NO. Tooth whitening only works on your natural teeth, it will remove staining that has accumulated over the years and it will bring your crowns, bridges and veneers back to their original colour, but we cannot whiten anything false. A good idea is to get your teeth whitened 1-2 times before changing your false tooth so that the dentist can match this to your new coloured teeth. CAN I WHITEN MY TEETH WHILE I HAVE UNTREATED CAVITIES OR GUM PROBLEMS? It is advisable to first treat your cavities and/or gums and whiten your teeth a few days after that. If you suspect you have problems with your teeth and you are planning a Teeth Whitening procedure, we recommend going for a dental checkup first or call us first to check. In most cases we can cover the receeding gum or cavity with a wax protection and whiten prior to a dental treatment, so that the dentist can match your filling/cap/crown or veneer to the new coloured teeth. This is entirely up to you and how well you look after your teeth after the whitening treatment. The results will last longer if you avoid foods and drinks that stain your teeth. We will give you “Aftercare” Information, to take home with you with great tips on keeping your teeth looking sparkling white. Note that your tooth colour will never revert back to the starting colour, unless you have genetic yellowing. The treatment has just taken off years of your staining in just one hour. It is easy to forget what your starting colour was within hours of your treatment, and a good note to remember is that you cannot go and add those years of staining back onto your teeth over days, weeks or months. WHAT IF I HAVE HAD TEETH WHITENING BEFORE? We say the more teeth whitening treatments you have the whiter your teeth will go, just like the Amercians. However you cannot choose how white your teeth will go, as your teeth will only go as far down in colour as your genetics will let you. To give you maximum results we may suggest a followup treatment within 24hrs to 4wks, this will give you a solid even finish. Then to maintain your new tooth colour we would recommend booking you in for a maintenance treatment there after every 3-6 months just like they do in America. WHAT IS A TAKE HOME MAINTENANCE KIT? A Take Home Maintenance Kit is great for crooked teeth, for genetic yellowing, for when you are getting married, you have a special occasion or heading away on holiday, this way you can do your own top ups at home, hotel or work. The kit is so easy to use, no messy moulds, just paint your teeth, pop the little light in for 1/2hr & lay back and relax. For your happy teeth, you just pop the kit into your toiletry bag or handbag, its that easy. CAN EVERYONE’S TEETH GO SNOW WHITE? NO, that’s not possible. Some people’s teeth might not respond to whitening at all, which could be because you have no or little enamel left on the teeth, while other people might see results for just a few short days which is generally someone with genetic yellowing. DO I NEED TO VISIT A DENTIST OR HYGIENIST FIRST? We recommend if you have a build up of plaque or haven’t been to a dentist or hygienist in more than a year, then we would recommend going for a checkup, scale, clean and polish, this will help enhance your tooth whitening result. We recommend waiting a 7-14 days after the dentist visit if you have had a scale, clean & polish, to let the nerves settle down before having the teeth whitening procedure. CAN YOU WHITEN YOUR TEETH WITH WHITENING TOOTH PASTE? No, whitening toothpastes can be effective for removing surface tooth stains only. Toothpaste cannot remove stains inside the enamel pores.but is a great product for aftercare and to maintain new tooth colour longer after your Sparklewhite Teeth Whitening procedure. DO ALL TEETH WHITENING PROCEDURES CAUSE TOOTH SENSITIVITY? No. Teeth whitening should never be painful, however everyone’s sensitivity levels are different and the level of tooth sensitivity will depend on the type of Whitening procedure, ie the strength of the gel used, the length of the procedure and your dental history. 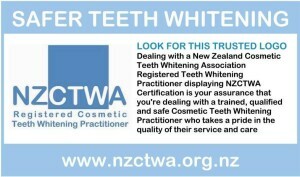 Ensure that you go to a registered NZCTWA (NZ Cosmetic Teeth Whitening) practictioner to avoid this. WHAT IF I ALREADY HAVE SENSITIVE TEETH? Teeth Whitening is not supposed to be painful, and we will discuss with you the causes should you have sensitivity before starting the procedure. We would recommend pain killers (Nurofen), Bonjela or Sensodyne toothpaste applied to the tooth or teeth prior to your appointment. We will discuss any questions and the procedure with you in your pre consultation as to which is the best treatment for you. WHAT IS THE RIGHT SHADE FOR MY TEETH? There is no “right” shade for your teeth and it all depends on what shade you were born with. It’s a good idea to strike a balance between a “Movie Star Smile”, which is usually extremely white, and a more natural appearance of your teeth. Also keep in mind that grey, dark stained teeth might not respond well to Teeth Whitening, they will be a lot lighter but will not go whiter, while white and yellow teeth usually become whiter after the first treatment. The more treatments you have the lighter your teeth will go, until they cannot go any further because of your genetics or the tooth colour you were born with. Usually too much fluoride during the development of teeth causes white spots on your teeth ie ingesting fluoride tablets or flouride water in your town water supply, then sometimes it can just be genetics. These spots will brighten for a few hours after your treatment but they will calm down over the next 24hrs. The background of your teeth will now be lighter making the white spots less noticeable, however they cannot be removed. WHAT IS COOL LIGHT LED WHITENING? The cool LED (Light Emitting Diode) light speeds up the whitening of your treatment. The Cool Light LED Light when shone over your teeth activates the whitening gel and is used to enhance the penetration into your tooth enamel, thus improving your results.